It goes without saying but Chelsea have to do everything to get Eden Hazard to sign a new deal. 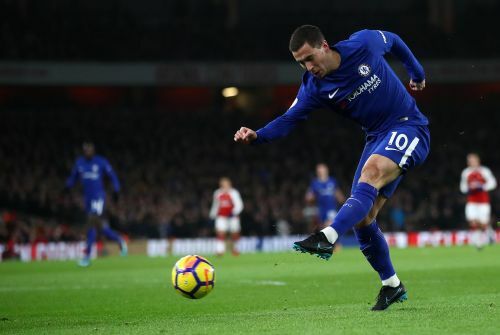 In a season that has been pockmarked by off the field strife and on-pitch issues, Hazard has been the one attacking midfielder who has consistently delivered. With Real Madrid said to be closing in to get the mercurial Belgian, the Blues have been making frantic efforts to convince the 26-year-old that his future lies at Stamford Bridge. Apart from financial inducements, there is a need to bring in young, elite-level attacking talents who would assist Hazard and Alvaro Morata in pushing Chelsea to the next level. Attacking options like Pedro & Willian have been too inconsistent and can no longer be trusted. In view of the stadium rebuilding project and for the sake of building a squad long-term that will be able to compete favourably in England and on the continent, there is a need to attract young attacking talent to the club. The recruitment team led by transfer tsarina Maria Granovskaia and whoever will be manager next season; be it current manager Antonio Conte or one of the many rumoured candidates like Luis Enrique, will need to follow the example of Manchester City by being prepared to meet the asking price for some of Europe & the world’s best young attacking talents as they offer immeasurable long-term value and are resell-able assets. Another of the German wunderkinds that the Royal Blues have produced, Meyer has been at the Gelsenkirchen based club since he joined the youth-set up in 2009. The 22-year-old who has been part of the national team set up at all levels boasts of the ability to play either as a playmaker or anywhere behind the main striker which would be a boon to Chelsea as this means that if he signs, he will be able to dovetail nicely with Hazard. While not the greatest of goalscorers (he has scored just twice this season), his ability to set up chances for teammates as well as his passing range coupled with his low centre of gravity means that if he signs for the Blues, strikers Morata and Olivier Giroud will get plenty of service from this brilliant German. 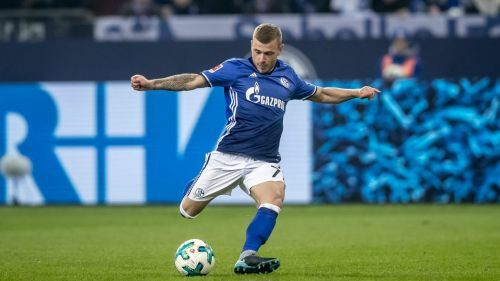 Set to leave Schalke on a free transfer when his contract expires at the end of the current season, he is already being scouted by major European clubs and Chelsea would be wise to move in early. While some at Stamford Bridge would be hesitant given the club’s experience with a player like Marko Marin, Meyer is cut from a different cloth and having captained Germany’s youth teams to win the Euros (U-21) & silver at the Rio Olympics in 2016, he is no stranger to responsibilities and would be the perfect foil for Hazard.